Last weekend we took Forest out for his first ‘hike—he strolled, we hiked—at our local state forest, WG Jones State Forest. Chris and I have been there a few times and thought it would be a great outing for us to stretch our legs and to get away from the house for awhile. 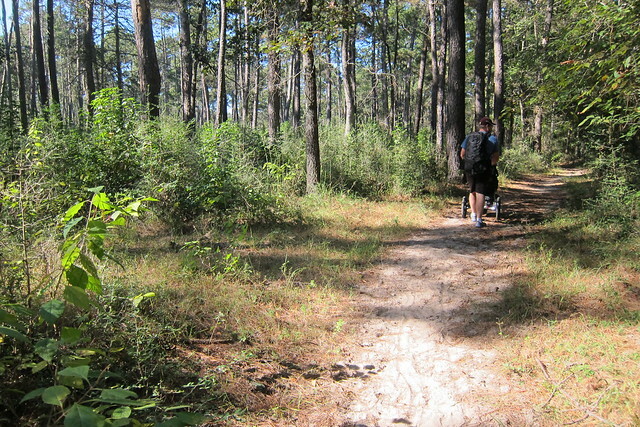 The forest is split in two by a road, FM 1488, with the larger tract being on the south side of the road. 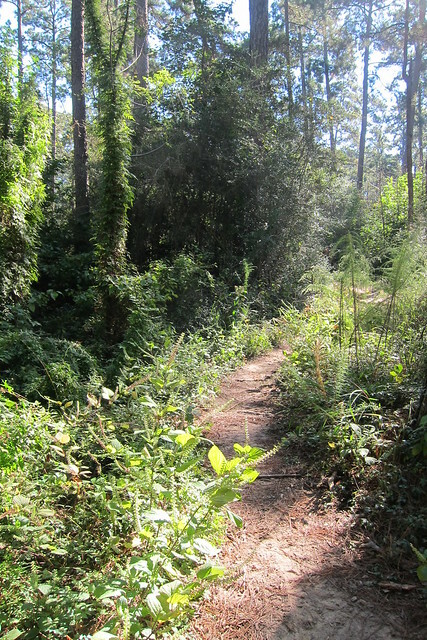 This tract also has the most trails. 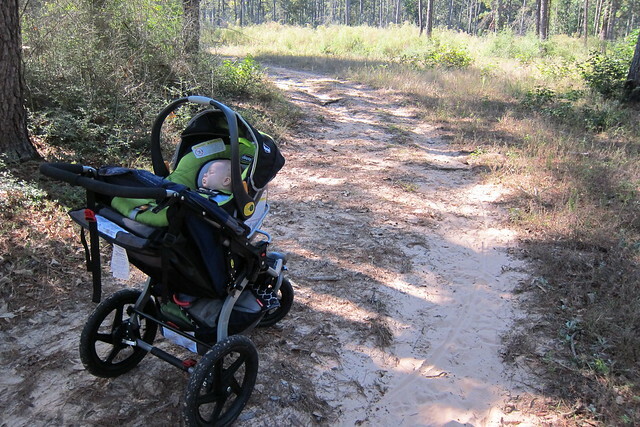 We set off from the western most parking area on 1488 and Forest managed to stay asleep during his transfer from truck to stroller. I had debated wearing him in a carrier but knew that he’d likely be asleep when we arrived. 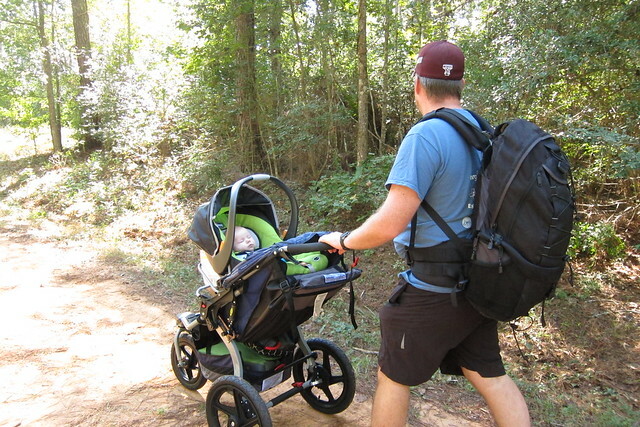 Plus, the carriers can be hot in our weather and Forest is generally a ‘hot’ baby, so I didn’t want to overheat him. 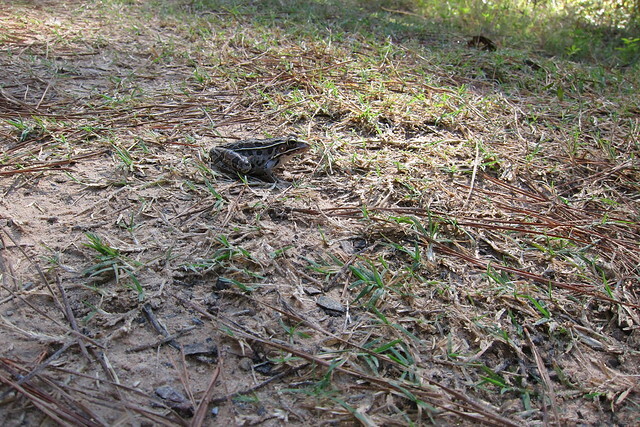 Our first wildlife encounter was with a southern leopard frog jumping across the trail. Chris spotted it first and I managed to get my ‘I saw it’ photo before attempting a better photo. The better photo was ruined because our frog friend was skeptical of us and hopped away too quickly. 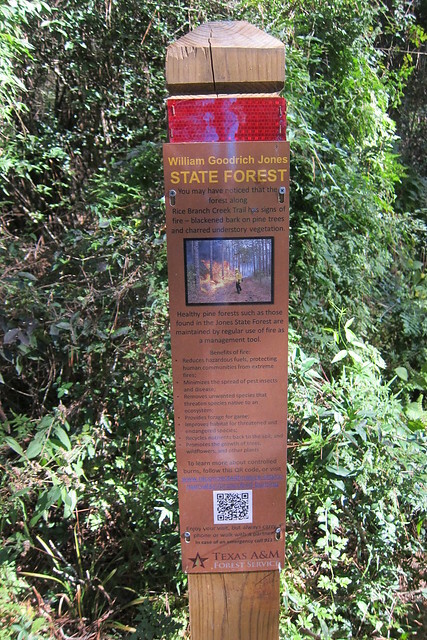 A lot of the trails in this forest were likely old logging trams but there are several real single-track trails that spur off of these wider pathways. We found one to head down but somehow along the way managed to get off the trail and wound up back on another wider trail. The stroller did well through here, which was good to know. 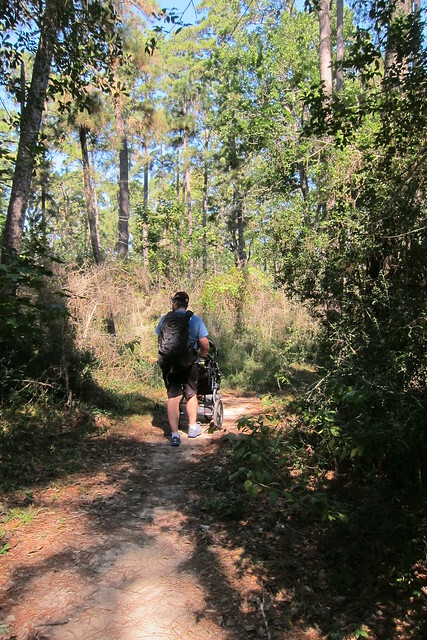 I was a bit worried it wouldn’t navigate the single-track well. 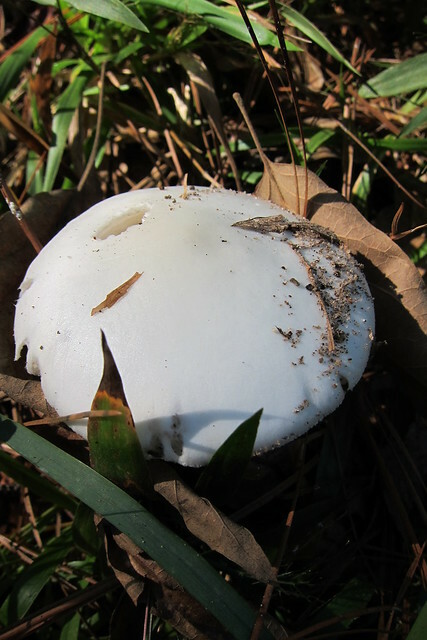 I think this is an Amanita sp. but I’m not sure. 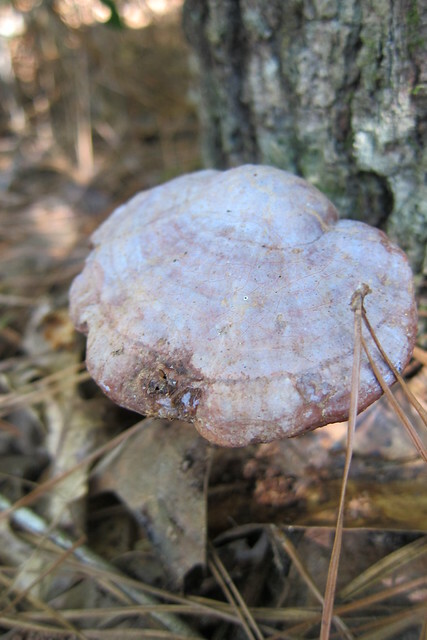 There were quite a few different fungus we saw on our hike that are highlighted below. 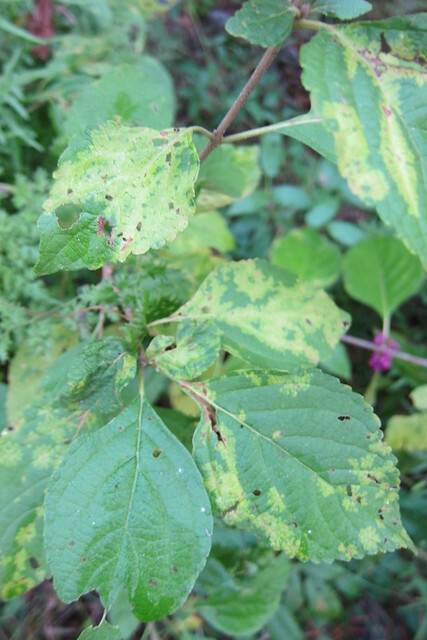 I believe this might be cucumber mosaic virus on the beautyberry. 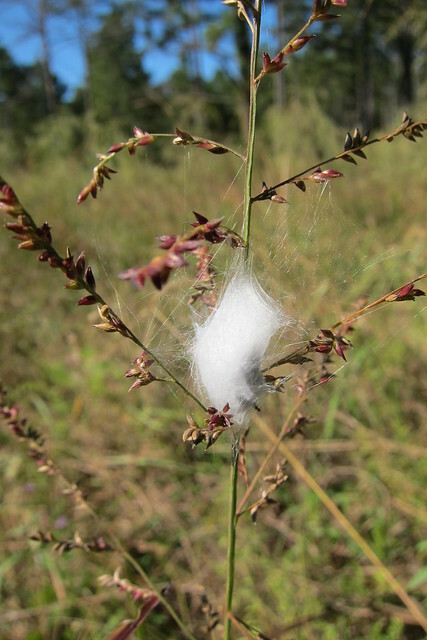 We have it in our yard too, on the native beautyberries that are part of the landscape. 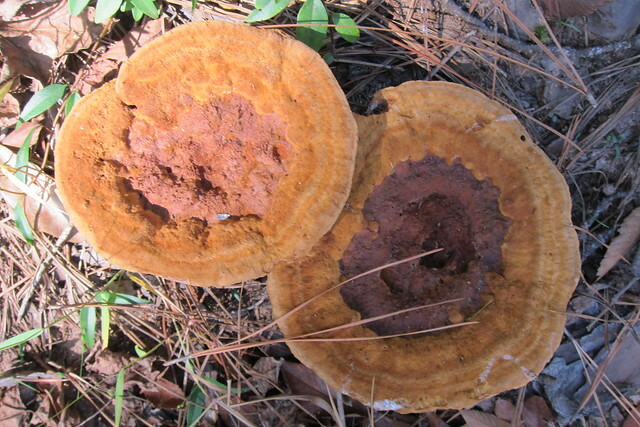 I’m not sure on this fungus as it appears to be on the old side. There were two species I thought it might be, however I’m not going to guess. Anyone?? 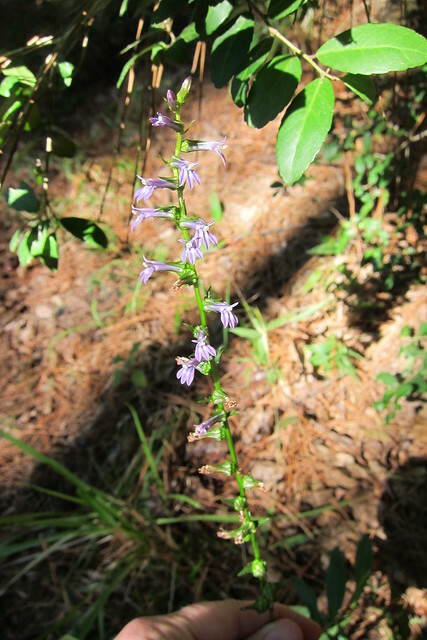 A sweet little lobelia, I think Lobelia puberula. 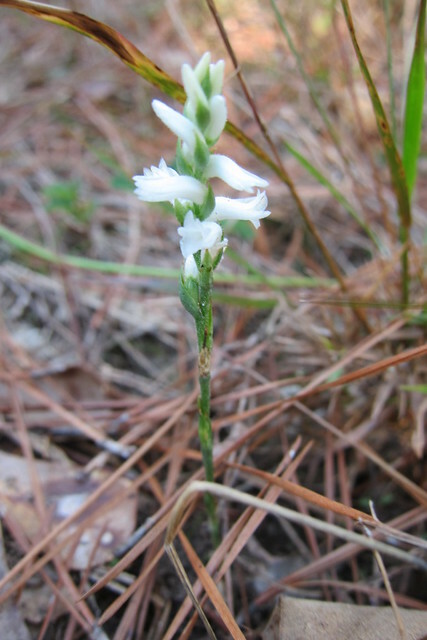 And a sweet little spiranthes orchid. 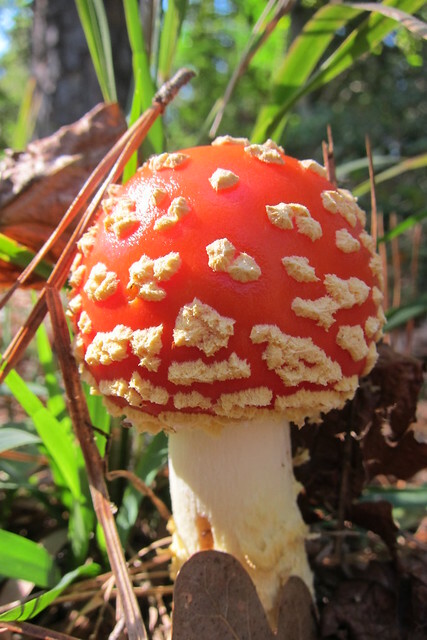 Amanita muscaria, not edible and probably poisonous. 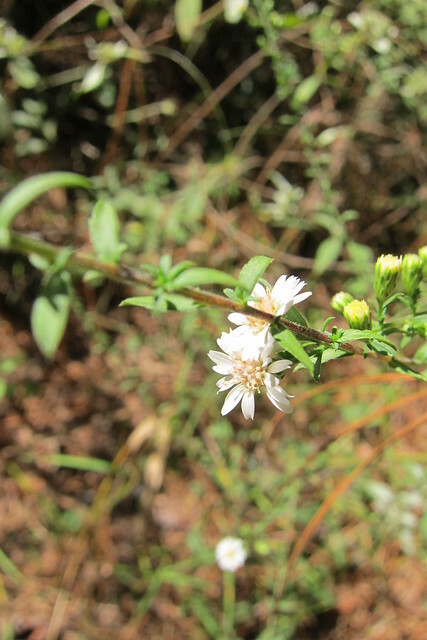 I think this is Coltricia perennis but another fungus expert might know better. Not edible. It was a great first hike for the little dude and a great hike for me to stretch my brain—on learning things again—and my legs!